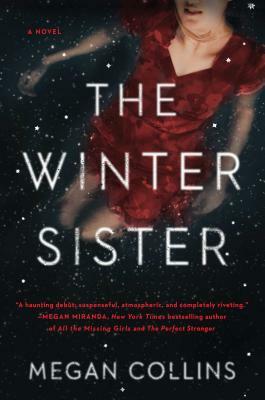 "Atmospheric and heart-rending, The Winter Sister brilliantly weaves together a gripping, suspenseful plot with a compelling character study of a grieving family. From the mysterious mother with a hidden past, to the guilt-ridden sister who now must solve her sister’s murder years ago, these characters will stay with you long after you’ve turned the final page. Wonderful!" "This book had everything I love in a suspense novel: complicated family relationships, a spellbinding mystery, and enough twists to leave me reeling long after I turned the final page. I’m already recommending this book to all my fellow suspense-lovers, and I can’t wait to see what Megan Collins cooks up next!" —Caroline Woods, author of Fräulein M.
"In luminous lines aching with loss, debut novelist Collins deftly re-envisions this Greek myth of Persephone… A bewitching thriller with surprises detonating in nearly every chapter." "A dark, tense, and completely absorbing debut... While full of hand-clenching suspense, the novel’s real strength comes from its study of relationships... Gripping to the last page, it’s the desperation in the connections among these characters that will stay with readers." "With its focus on the grim-dark aspects of the female experience, The Winter Sister calls to mind works like Gillian Flynn’s Sharp Objects or the film The Tale. This twisty-turny story reminds the reader of the fickle nature of the truth, and that impossible things happen more often than you think."